What are Cut and Stack Printed Labels? Due to their high volume and run speeds as well as their low cost, cut and stack printed labels are a very popular choice. In our article Different Types of Printed Labels we briefly mentioned cut and stack labels as being used in industries such as fast moving consumer goods, foods and beverages. They are usually supplied in a bundle or “stack” of labels and placed in the labelling magazine as such. Lines of glue are then placed on the product before the label is positioned and applied. There are two types of cut and stack printed labels, these are full wrap labels or square and die-cut spot labels. Full wrap cut and stack printed labels are labels that wrap completely around the product. Glue is then applied along the edges of the label only instead of to the entire label, so that the label essentially sticks to itself in a lap. Square cut labels on the other hand only cover a portion of the product and glue will be applied to the entire surface of the container being labelled, instead of just two strips. 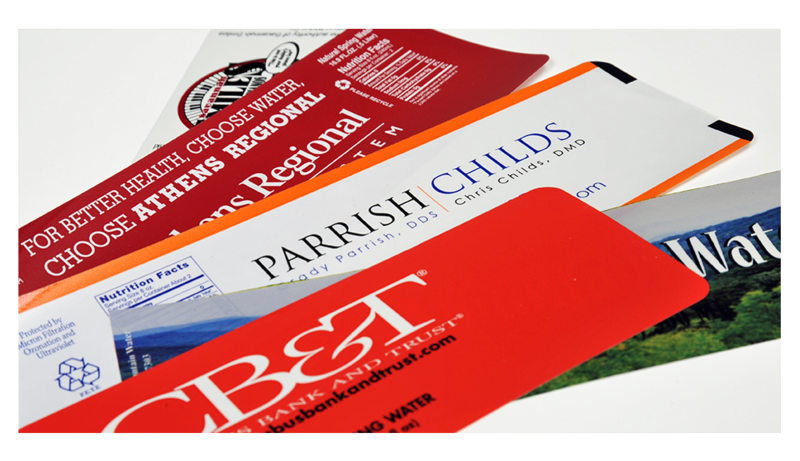 •Cut and Stack Printed Labels are ideal for high volume printing and a high number of SKU’s. 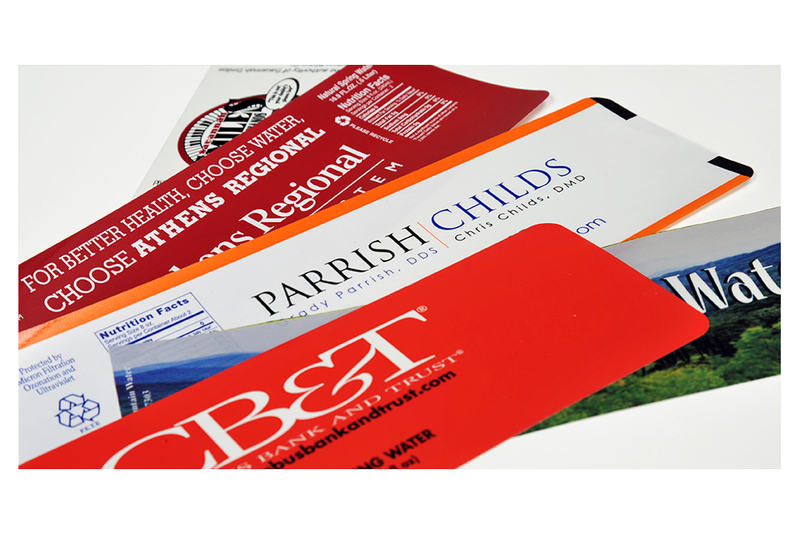 • Cut and Stack Printed Labels are the most affordable choice for high volume products. • Cut and stack labels can be customised to suit your exact needs. These labels can be printed to just about any size and with any colouring, text and graphics. This makes them ideal for any shaped product. • Cut and Stack Labels are one of the most durable types of labels and can withstand moisture, heat, transportation and various other adverse conditions. As these are made from strong film materials, they are more resistant than other labels. However, even though there are many benefits to using cut and stack labels, the precise material, varnishing and graphic die needs to be established in order to enhance production speeds. If the label becomes static or if the product is not perfectly cylindrical, the label quality may be negatively influenced. It is best to speak to experts in the industry as to what type of label suits the product line best. Request a quote for your printed label needs today. Rebsons Labels manufactures, stocks and supplies a variety Printed Labels. All printed labels are produced to the highest quality and standard. Standard as well as fully customised options are available. Speak to one of our sales consultants today to fulfill your printed labeling requirements.